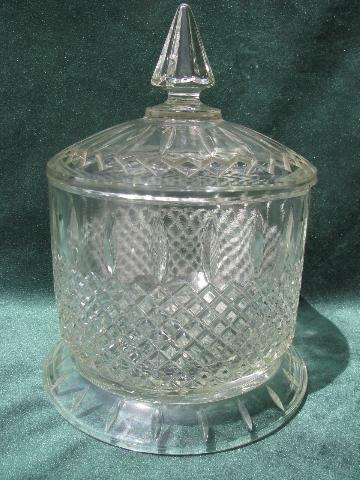 Really big old heavy pressed glass canister jar with waffle criss-cross pattern. 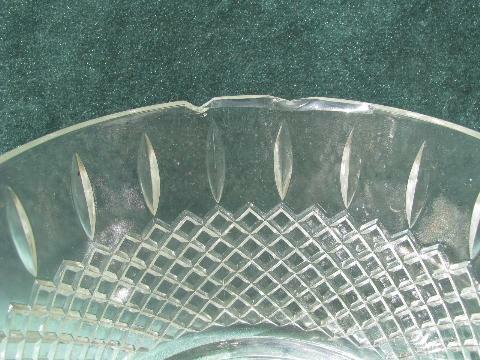 The jar measures 4" deep and 6" across the rim. It's been used and well loved, and has a big old chip to the rim of the jar (the lid looks fine).